The top of the line cap – you see it on the heads of MLB, NFL, MiLB and major college programs. They’re the gold standard for team headwear, and we’re bringing it to you and your team now in Canada. Minimum orders start at 18pcs with 5-7 week turnaround on fully custom 59Fifty fitted and Team caps, 9Fifty Snapback, and 39Thirty curved brim flex-back caps. 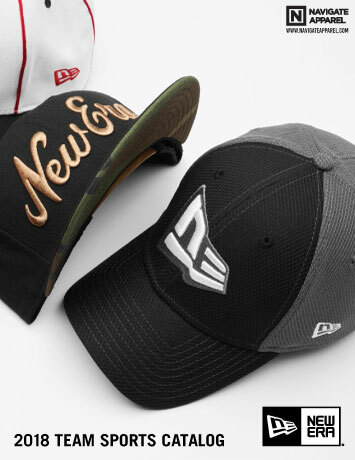 Crisp, 3D embroidery just like the pros have and status of that NE logo on the side of the hat. Fully custom options – change the colour of the brim, panel, eyelets, stitching, or anything else you want. Check out the catalogue below for the fully menu of options for these high end caps. Let us know what you’re thinking for these caps and we can put a mockup together for you.